We’re Hiring a Stylist to Join Our Team! Are you looking to be self-employed while working in a team atmosphere? Are you looking to have the flexibility of making your own schedule, while still having the benefits of front-end support and supplied product? If so, Gravity Salon Professionals is the place for you! 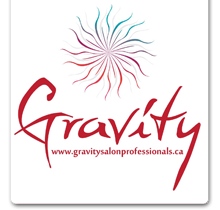 Gravity Salon Professionals has been named Barrie’s Best Salon in both 2017 and 2018, as well as one of our stylists being named Barrie’s Best Colourist for 2018, and we are looking for someone to join our award-winning team! Gravity takes care of all your needs and support for you to optimally service clients without worrying about other responsibility. The only thing that you are responsible for providing for yourself is your styling tools (scissors, driers, brushes, etc.). The best part about working at Gravity Salon is that you will constantly be inspired by working alongside a number of highly-talented and professional stylists. There is always an opportunity for learning and growing your skills here at Gravity, and we can’t wait for you to experience what it feels like to work for Barrie’s Best Salon! Please submit all resumes to salon owner Ivo Tiberio at ivo@gravitysalonprofessionals.ca and direct all inquiries to (705)-252-3992!